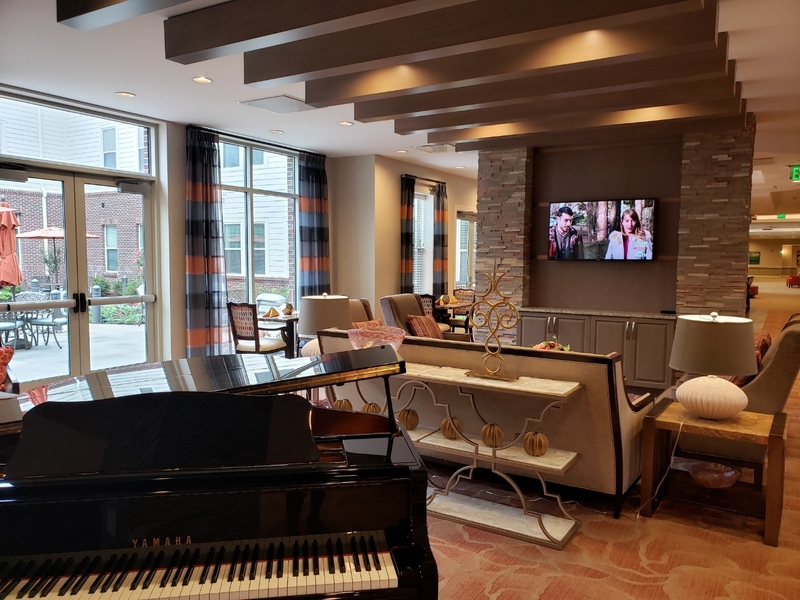 When you walk into HarborChase of Prince William Commons, you might think you’re strolling into a high-end hotel instead of a senior living facility. The modern, sleek building houses so many amenities, you may be shocked to learn that they’re priced right in line with other local facilities. This community focuses on hospitality and truly celebrates senior living. When you’re a part of the HarborChase community, you can still lead a rich and fulfilling lifestyle. Their high-end amenities can make every day a different adventure. Here are some of their offerings. Not too many senior communities get rave reviews for their food options. HarborChase wanted more than the standard cafeteria fare for its residents, because what is life without fabulous food? Foodies will rejoice in their dining options. 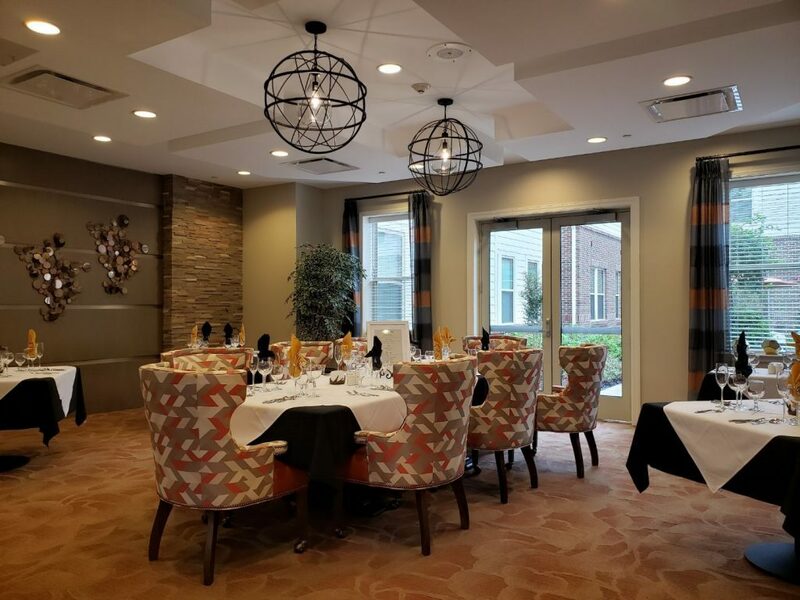 “In addition to our full-service made-to-order dining room, we also have both a formal dining venue, named the Grille Room, that is available by reservation that offers a 5-course surf and turf menu with wine pairings,” said Courtney Melendez, director of sales for HarborChase. For added privacy, residents can book the private dining room, named The Zest. For casual fare, residents can enjoy small plates at their CounterOffer bistro. HarborChase has created a beautiful place for residents to get the most out of each and every day. “Because our community is bright, airy and colorful, living in our community alone inspires your day,” Melendez said. HarborChase apartments were designed with seniors in mind to lessen all the hazards that can become problematic at home. “Choice is the name of the game as well, from our various dining options and venues to our educational presentations and exciting outings. We want our seniors to be in charge of what would best celebrate their days. We just want to provide each resident with well thought-out, meaningful choices so that each day is anticipated,” Melendez said. They offer a vast array of activities both on-site and out in the community. They offer health and wellness classes like Low Intensity Zumba, Move & Groove, Weight Warriors, Sit and Stretch, Jazzercise and Jams, and many more. There are classes like Baking 101, Magazine Collages, and more. You can be a part of different clubs like Book Club or enjoy games and trivia events like Wii Golf Competition or Football Trivia. HarborChase doesn’t just offer a place to live, they offer a tight-knit community of people. So far, many of their residents are from veteran families, so fostering a sense of community has been a breeze. 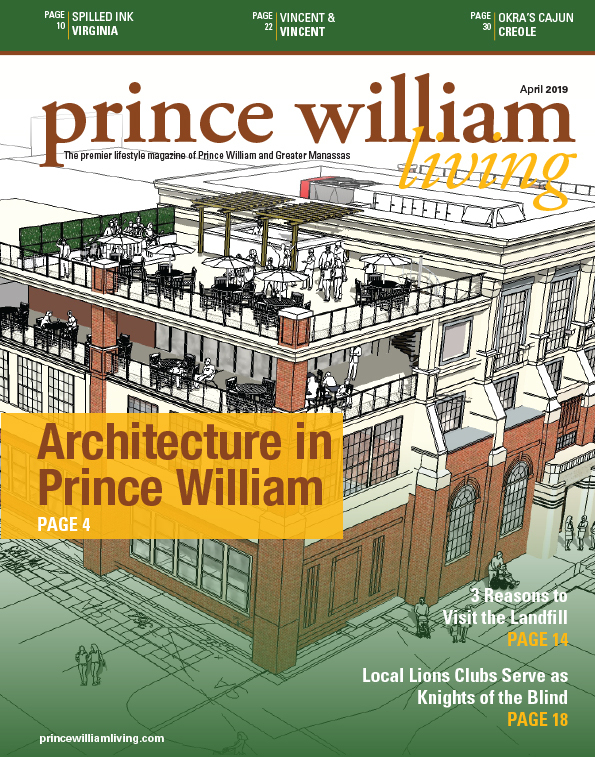 “The bulk of our community is also made up of individuals who are life-long Prince William County residents, or their adult children have chosen to bring them to PWC to be closer to them. Because we have so many similar backgrounds living amongst our community, it has made for fantastic customized events and outings that cater to the interests and likes of traditional military families,” Melendez said. To learn more about HarborChase of Prince William Commons, visit their website or call them at (703)791-1667.